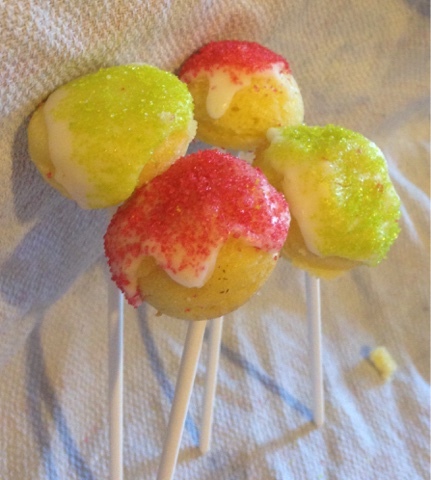 Cake Pops are perfect for kids birthday parties of quaint little tea parties, plus they’re fun! You can decorate them with anything; chocolate, sprinkles, icing, you could even give them little animal faces if you wanted to! Here is my quick guide to making your own! Grease the moulds with a little bit of butter to stop them sticking. Leave to cool then pop out and decorate! I decided to add some icing and sprinkles!